Alfredo Neuman tends to more than 100 hives located on farms in Western Henrico and Goochland county. Originally from Barranquilla, Colombia Alfredo started Beekeeping over 20 years ago as a tribute to his deceased brother who was also a renowned Beekeeper in his native country. 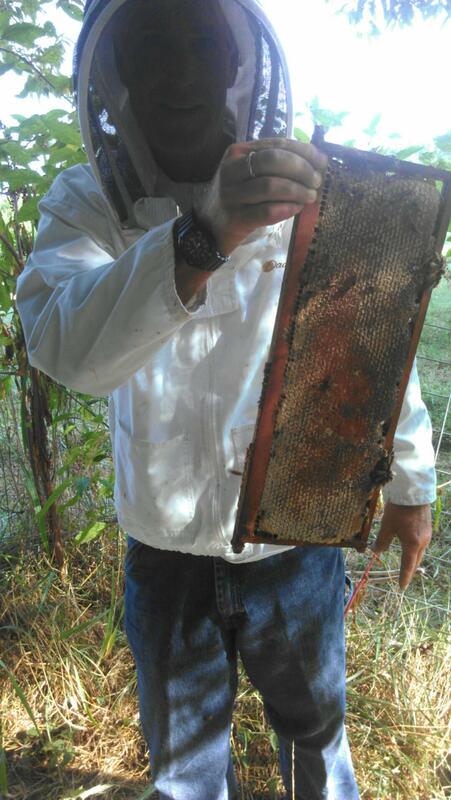 Alfredo’s work day starts at 4:00 am and involves far more than just checking in on the hives. Recently Doug, GrowRVA Operations Coordinator visited one of Alfredo’s farms and experienced first hand the work behind harvesting honey. 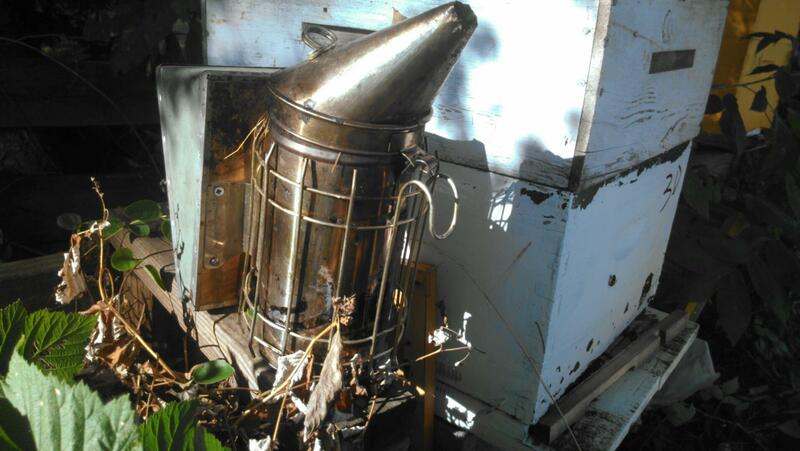 As Doug looked on, Alfredo and one of his workers removed trays laden with Bees and honey from a hive. “He wasn’t wearing gloves and bees covered his hands” says Doug. “He had to have gotten stung multiple times but barely flinched”. Despite the protective gear two bees made it through to sting Doug as well. Alfredo told him “that’s your initiation”. Alfredo has been a loyal vendor at SOTJ for many years and is beloved by fellow vendors and customers (especially the ladies). Stop by and visit Alfredo on Saturday.